The dance studio will become a safe space for people who develop a passion for dance. 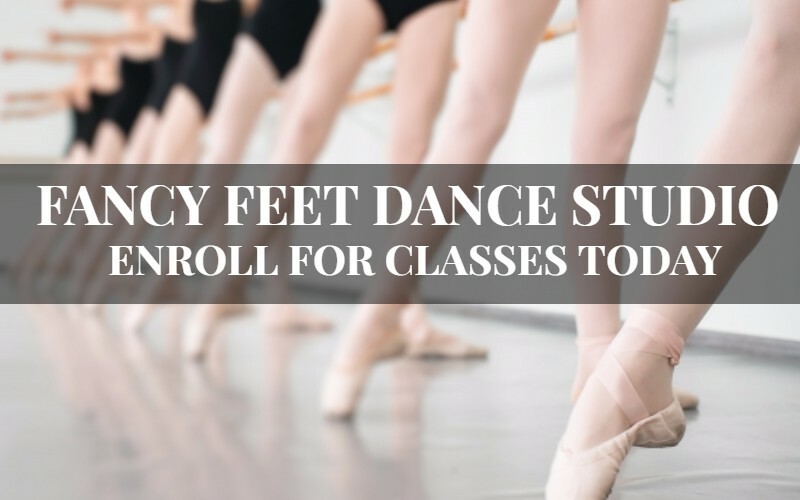 It’s something that the team that works here have all experienced, and it’s something that we hope to provide at Fancy Feet Dance Studio. Whether it’s your child’s first time visiting the studio or they’ve participated in dance for years, understanding what is in the dance studio and where it is can really help you and your child feel more comfortable when they come in for a class. Today, our blog post is going to go over a few of the most common spaces in a dance studio and what they’re used for. That way, both you and your child can have an idea of what to expect when walking into the studio for the first, or at least the next, time. The surface that your student will be dancing on is likely to vary depending on their experience level, age, and the type of dance that they’re performing. While it may not seem like a super important component of your dancers time at the studio, these solid wood floors will become a familiar area to them. They’ll start to recognize the grooves in them and find support in some of their hardest dance moves. There are a few times where these floors will wear them down and feel so much harder than they seem, but they will ultimately provide them with the surface they need to develop and the soundboard necessary to make that specific dance type, everything that it is. For younger dancers, there might be a mat on the floor. If you’ve danced yourself, then you might not be familiar with this performance surface and you’re ready to get them out on the floor so they can truly practice. While that is a great outlook to have, we challenge you to look at this performance surface as a way for your child to get out there and learn new things. Not only will a little bit of cushion provide them with the comfort needed to fail, but it will help them work their way up and gain strength as they develop skills and perfect their dance moves. Ultimately, they’ll use this surface until they graduate to the next level and at that point, they’ll use their skills and confidence on the hardwood floors all dancers come to have ties with. Regardless of the dance studio, there will always be mirrors in the space. These become one of the most beneficial tools that a dancer will use. It’s a tool that gives them the opportunity to look themselves in the eye and straighten up when they need to. Aside from looking themselves in the eye, the mirrors in the studio give each dancer the opportunity to look a challenge in the eye and take it on. From the fear to the frustration that each dancer feels, they’ll be able to face it here and overcome it. As a parent of a student dancer, understanding the tool that mirrors can become is pretty beneficial. This is something that your child will face every time that they’re in the class, but something that they can focus on for years as they work to improve their skills. When you understand, as a parent, how beneficial this tool will be for them throughout the class and as they practice, you can then help them better direct their attention while they grow. This is definitely a tool that will help them develop skills, but it is one that will also help them develop their confidence. If they’re just getting started dancing, then physically seeing themselves go through the moves and see the dance with their own eyes, can make the time in the class so much more valuable for them. We’ve talked about a few parts of the studio that will help your child develop their skills and strengthen their muscles and body control so that they can become the passionate dancer that they’ve always wanted to be. This next piece of equipment in the studio is one that will quite literally hold them up as they fine tune their moves and get in the practice that they need. Barres are most commonly found in studios that offer ballet classes, and while they are especially helpful for young children that are getting started with their passion for dance, this is a tool that will continue to be helpful for dancers even as they age and learn new moves, technique, and control. The barre is a solid piece of wood that will go along the wall or on a specific side of the studio. Children will complete their warm-ups, stretches and so much more by using the barre to gain strength and perfect those tiny moves. 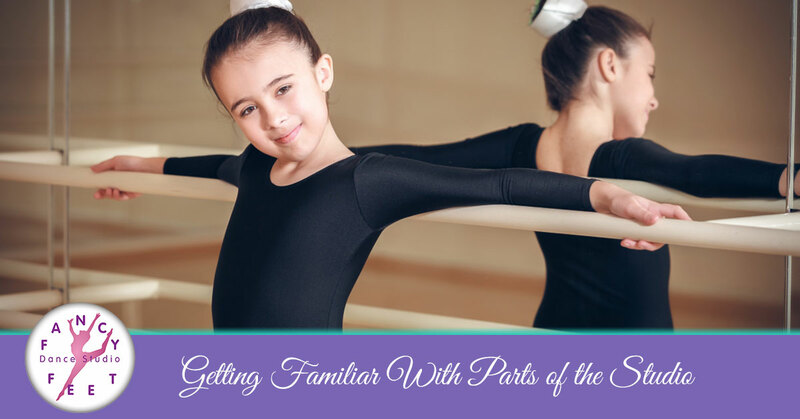 Understanding how the barres are used in class and during each step, your child can better practice on their own and perfect some of the moves that they love the most. Every studio will have something special inside of it, and you’ll see the tiny things that contribute to the atmosphere and overall aesthetic of the studio. For some places, you’ll see instruments. The most common instrument found in dance studios will be the piano, used for ballet classes and, at times, even jazz. You might also a stage in the studio that could be a sign of how seriously productions and recitals will be for the area. Some studios will prioritize children and their development of courage, balance, and flexibility, and for that reason, you might see some studios that have an area dedicated to tumbling. Regardless of what the studio is focusing on, these specific areas make it easy for your child to develop new skills and overall personal growth. We hope that these tiny touches do make a difference on the experience that your child has at our dance studio. Aside from these pieces that we’re talking about in our post today, we know that your child will have everything that they need to not only fall in love with dance but to thrive in that passion. Between the passionate instructors and the students that share that love, we will do everything that we can to keep your child’s passion alive. You’ll see that we continue to develop our studio so that we can continue to provide that service, and we hope that you appreciate all of the contributions made to it, moving forward. Every dance studio is different, but the passions, dreams and hard work that are experienced them never change. At Fancy Feet Studio, we do everything that we can to provide our students with the tiny details that make their time with us special. If you’re ready to look deeper into our studio, call us today or stop by. We would be more than happy to walk through the studio with you so that you can get a first-hand feel of what being a part of our family is like. As always, browse our current schedule of dance classes and remember to keep up with our blog. We will continue to provide you with high-quality information, helpful tips and tricks, and so much more. We can’t wait for you to stop by!